If you’ve ever organised a large event before, you know that it’s not just about choosing a date, marketing the event and then showing up on the day. There are lots of ‘little’ details in between to think about (some of which actually aren’t little at all as the event can’t take place without them). It’s great seeing it all come together on the day after months of working on it. But as we mentioned in our previous post, it just wouldn’t be possible without the support of the Superheroes of the BRND WGN & University Ring Road Races. And of course when it comes to our races, first aid support is one of those really important things. So that’s where the ‘Emergency Fire & Rescue Unit’ (E.F.R.U.) come in…..to the rescue! On the day there are always loads of things for our team to think about of course and everything becomes a bit of a mad rush. Over the years as expected this has become easier, especially with more and more people coming on board to help us. But if there’s one thing which always sticks in my mind, it’s how easy the E.F.R.U. team always make the first aid support seem. They show up in full force, let us know they’ve arrived and literally just get everything organised. My mind’s always completely at rest knowing they’re there as they literally have every area of the event and every possibility covered. From a fully equipped first aid room to first aiders on bikes following the races to ensure someone is available if any of the participants need help and much more – they literally coordinate it all and ensure everyone’s safety. The unit’s motto is “Taking pride in helping others” and they really seem to live by that motto as they all look as though they take pride in the invaluable support they provide us and are always happy to hear about the funds we manage to collect for Hospice Malta through the races. Even more impressive is the fact that as a philanthropic voluntary organisation itself, E.F.R.U. is entirely manned by unpaid volunteers. 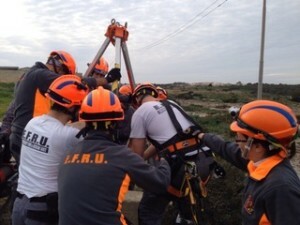 The unit specialises in Basic Rescue, Rope Access, High Angle Rescue, First Aid, Fire Fighting and Diving and its main scope is to provide a group of highly trained rescuers to assist the constituted authorities in national emergencies or when otherwise requested to. 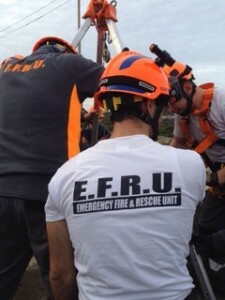 E.F.R.U. embraces the principles of teamwork, excellence, honesty and integrity amongst its members to improve their quality of life and that of the persons they assist. We’re extremely indebted to E.F.R.U. for the support they provide at each edition of the BRND WGN & University Ring Road Races. Should you wish to find out more about E.F.R.U. or to donate to their noble cause, you can visit http://www.efru.org/.